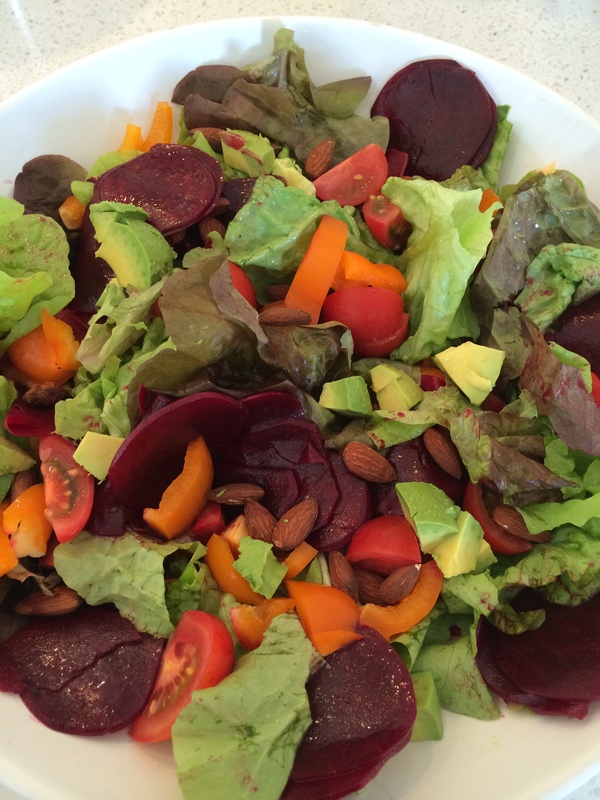 Love Beetroot salad and the guided recipe for beetroot salad is one of our most frequently used recipes. More often than not there will always be some raw beetroot salad in the fridge to snack on so when I spotted the recipe for marinated beetroot salad on Quirky cooking’s blog, had to try it. It’s lovely. The beetroot has been marinating in the fridge overnight and is still crunchy and refreshing. The marinade is used as a dressing so dinner is just an assembly job. And there’s plenty leftover for another salad another day. Notes: halve beetroot before julienne into slices.